This movie is a creative exploration of perhaps the most important year in the life of legendary musician Jimi Hendrix. Hip hop musician Andre 3000 takes the lead role as he steps into the shoes of Jimmy James (Hendrix’s nickname for himself), a guitarist who plays for the legendary RnB crew Curtis Knight and the Squires. We’re taken from New York to the UK in the year Hendrix gets discovered and starts the electric fire that would later engulf the last quarter of the 60s, a fire that still blossoms in the present day. Along the way, our hero meets fellow legends, movers, kingmakers, and producers in the music industry of 1966. 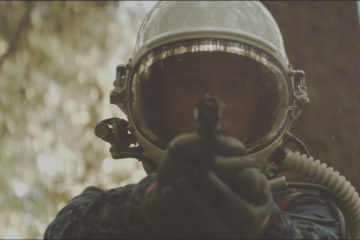 But don’t expect to hear any of your favourite Hendrix songs in this movie. 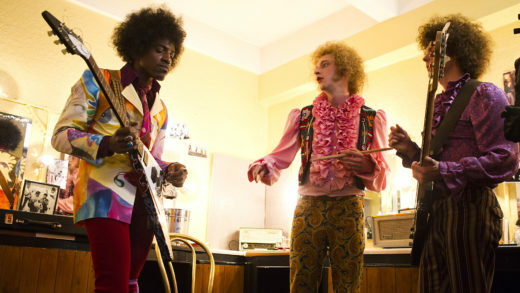 Having failed to secure the rights to any Jimi Hendrix tracks, director-writer John Ridley uses an all-original soundtrack reminiscent of the man’s classic repertoire. Working with such creative constraints, Ridley also takes plenty of creative liberties when it comes to telling historical details. More than an autobiography, All is By My Side is an intense remix of Jimi Hendrix’s life, a psychedelic, enveloping dream based on a popular story you’ve heard countless times. While the historical inaccuracy has upset its fair share of fans, it has also allowed for the emergence of a rock biography that doesn’t just regurgitate the usual and expected output – which is what Hendrix aspired for in his own music. It should come as no surprise that after being dead for nearly half a century, Jimi Hendrix continues to be more than just a man. Ever since he showed the world the true potential of the electric guitar, he has transcended into a theme, a feeling, and an energy, and his inherently innovative legacy continues to birth countless media homages to his ongoing legend. For instance, although he’s more popularly known as a rocker, Hendrix is held in the same high regard by hip-hop and RnB artists/producers. In fact it is fair to say that Hendrix’s influence is everywhere in popular entertainment. In 2010, Drake launched a concert in which MTV reported that the Canadian singer openly admitted to taking inspiration from Hendrix in terms of visual direction. Outside the music industry his image and legend is frequently paid tribute to. At the more obscure end of the tributary entertainment spectrum is the digital slot machine game based on Jimi Hendrix from Sandlot Games. The game, like Jimi: All is By My Side, uses famous imagery associated with the singer to engage fans and further promote his legend. And today, even though All is By My Side was released years ago, it continues to be discussed online almost academically – a vital point in the examination of how the man’s legacy continues to evolve, just like the games, albums, concerts, books, and musical sub-genres inspired by his style and name. This is important to consider when viewing this film – it’s a continuation of a near-infinite legacy. 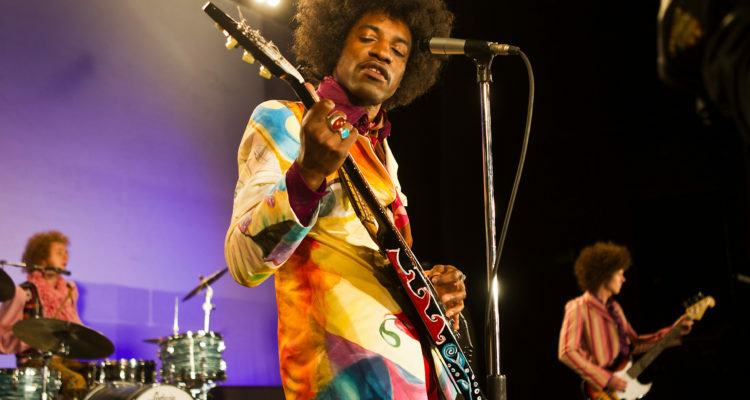 Considering Hendrix’s innovative, electric preaching, there are conceptual lessons to be learned from a movie that foregoes historical accuracy for stylistic purposes, crafting a narrative that would otherwise be impossible if the director was bound by historical events. Let’s face it: much like Elvis, Hendrix can no longer be defined just by who the man was. This is what happens when artists established deep, overarching legacies. Jimi: All is By My Side might be factually inaccurate, but it’s also a bold exercise in innovation, which was what Hendrix was all about.